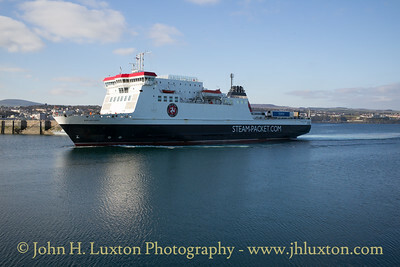 The BEN-MY-CHREE suffered an explosion in ia turbo charger when arriving at Douglas on the 02:15 sailing from Heysham on July 28, 2018, Fragments of the disintegrating turbocharger caused a fire to break outwhich required the attendance of the Fire Brigade. 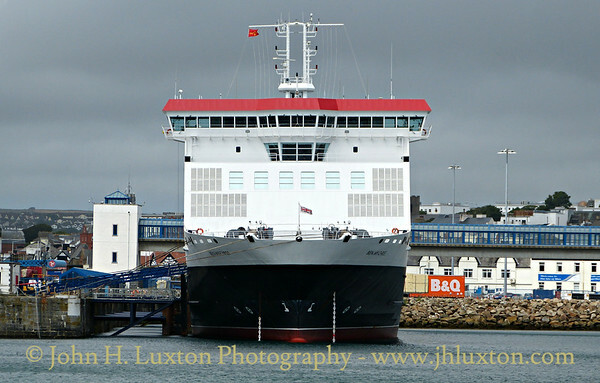 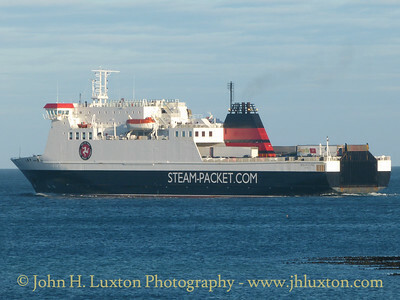 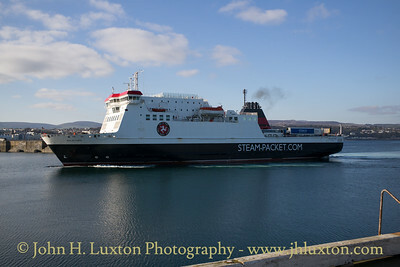 The BEN-MY-CHREE was out of service until July 30 whilst repairs were effected. 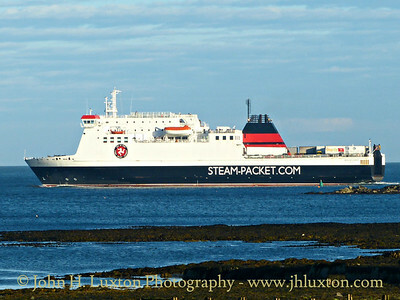 To compound matters adverse weather resulted in the cancellation of the morning round trip of MANANNAN to Liverpool on July 28. 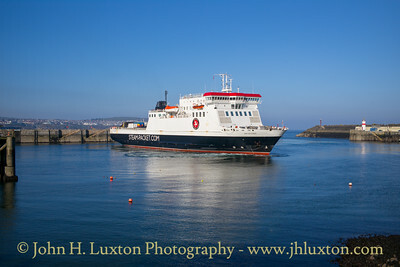 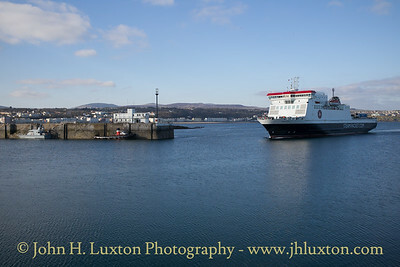 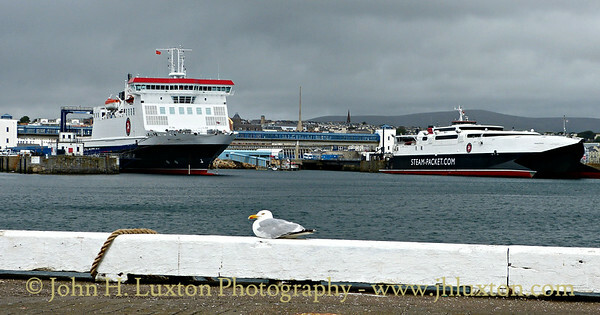 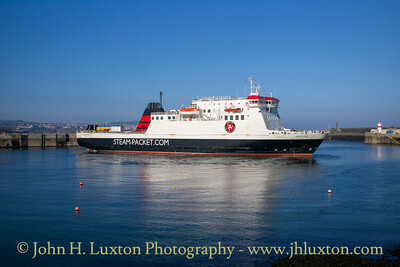 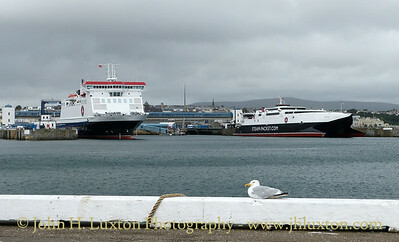 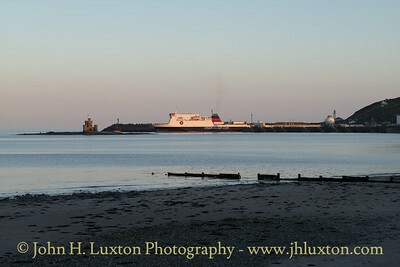 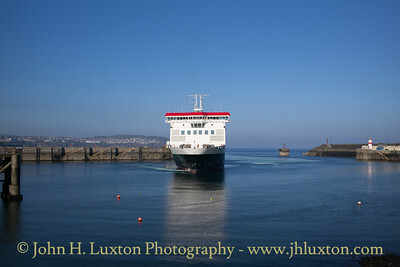 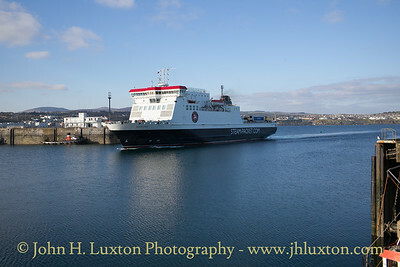 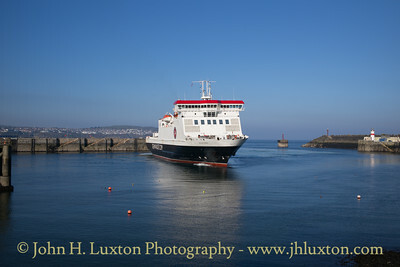 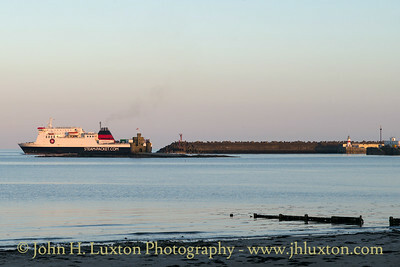 BEN MY CHREE arriving at Douglas Harbour after her afternoon sailing from Heysham. 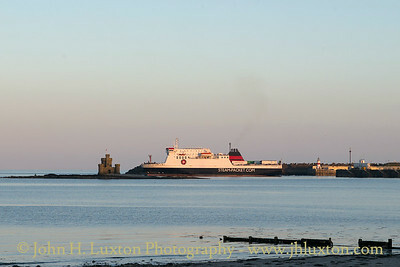 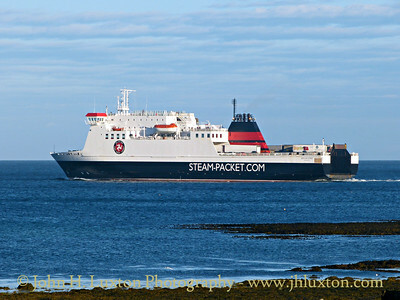 BEN MY CHREE departs Douglas on her evening sailing to Heysham. 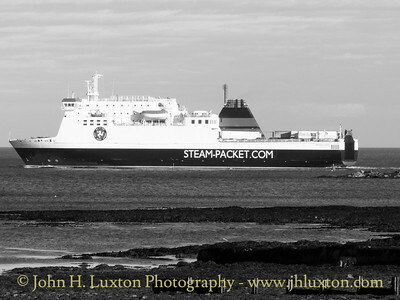 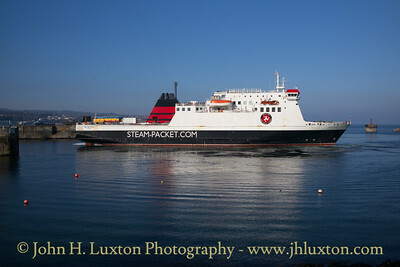 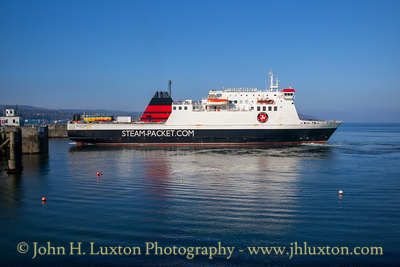 Isle of Man Steam Packet Company BEN-MY-CHREE departing Douglas Harbour on the 19:45 Douglas to Heysham sailing on Thursday August 04, 2016.